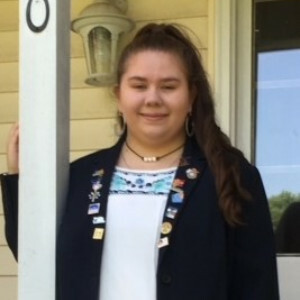 The Rotary Club of Laurens and Rotary District 7750 are proud to announce that they have awarded Elizabeth Hoefer, a rising junior at Laurens High School, a prestigious Rotary Youth Exchange Scholarship to study in Seville, Spain for the 2018-19 school year. This scholarship, valued at over $20,000 covers room, board, tuition, and a monthly stipend for one academic year. Elizabeth will depart the US in at the end of August 2018 to begin her role as a global ambassador during the year-long exchange. Since this past February, she has worked hard on language acquisition and cultural training, provided by Rotary, to prepare for her immersion into a new culture. Living with and being part of a Spanish family, participating fully in their life, and attending regular Spanish high school will enable Elizabeth to gain insights never available to tourists. In addition, she will have opportunities, sponsored by Rotary in Spain, to travel in that country and in other parts of Europe. One of the outstanding features of the program is the opportunity Elizabeth will have to meet and spend time with other Rotary exchange students who have come to Spain from all over the world. She expresses enthusiasm for the amazing year that awaits her -- one of life-enriching and life-changing opportunities for fun, friendships, learning, and personal growth! Elizabeth will be one of 8,000 students worldwide between the ages of 15 and 18.5 who annually participate in Rotary Youth Exchange. The program is a vital component of Rotary International’s efforts to promote world peace, international understanding, and global good-will.